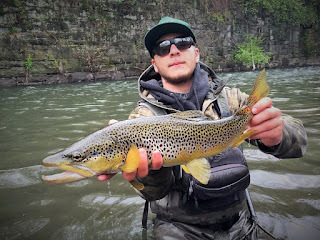 Doug spent some time on a Northeast Pennsylvania river this past weekend and sent me a few photos from the trip. How's that for an awesome brown? The kid can fish!